After being in Camotes Islands over a month now, I've developed my own routine. 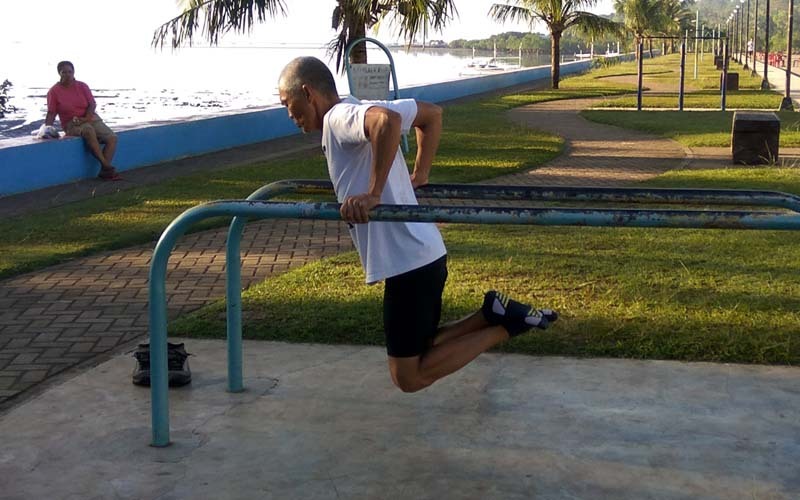 Workout-wise, I have my morning ritual at Baywalk where I take advantage of their workout-bar features - monkey bars, dipping bar, horizontal bar, etc. I'm still basically a yogi - so my workout is still basic asanas with breath and mindfulness. 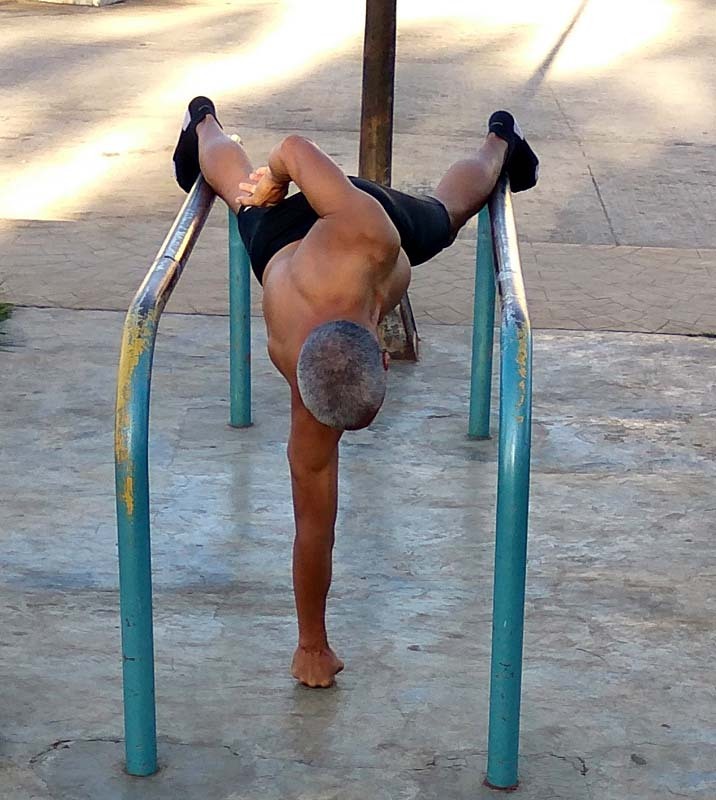 I just level it up by doing the asanas, to the extent possible, on the bars. 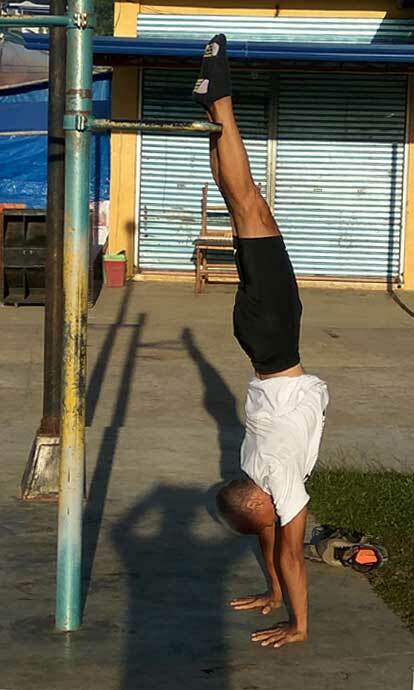 My routine took a radical turn when I stumbled upon a few calisthenics video on Youtube by Chris Heria. Seeing this guy's routine was mind-shifting. All these years, I thought calisthenics was just a series of Jumping Jacks and a few stretching. I was dead wrong. 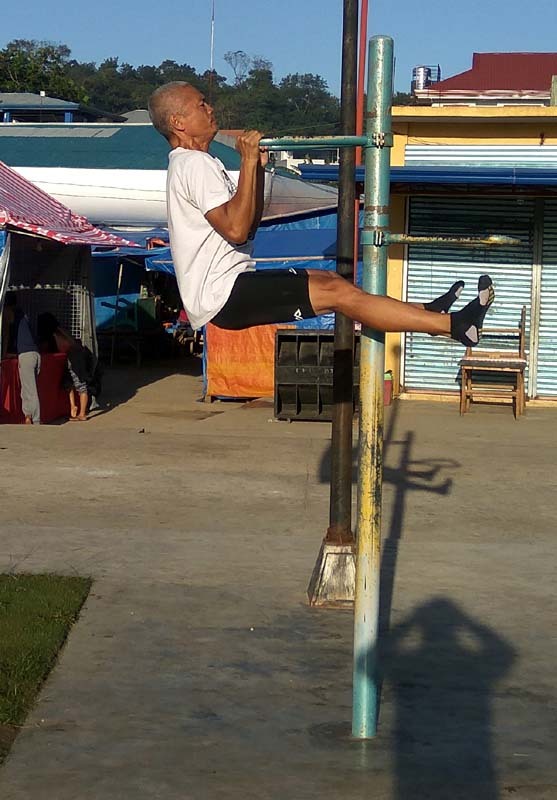 By definition, calisthenics is a body-weight workout for muscle development and strength. So you don't use weights. Also, it is questionable if rope-skipping is considered calisthenics because it doesn't build up muscle and strength. 3 bar workouts really impressed me. I am highly motivated to perfect them although it may take years - perhaps even never. But whatever marginal gains I make would be an accomplishment unto itself. 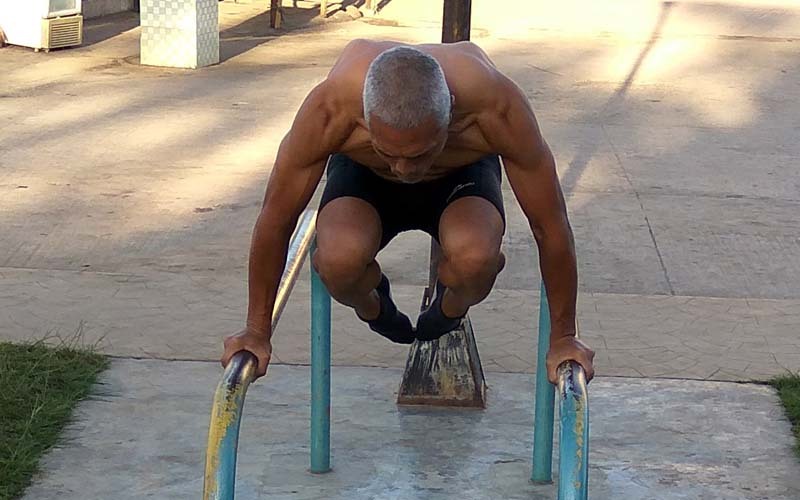 Should I now abandon yoga for calisthenics, given my charged motivation for the latter? 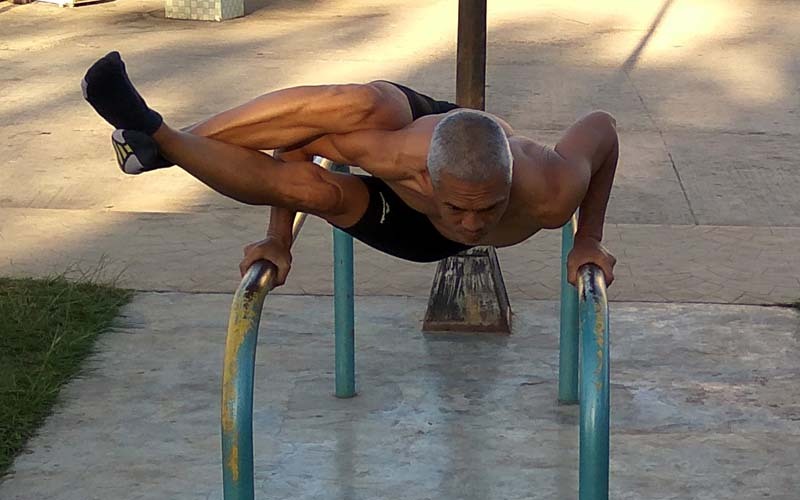 I am stoked by this new calisthenics but yoga is a lifestyle choice for me. It didn't take long before I came to terms with both. What is yoga anyway? Is it about the pose? If so, then the circus people would be the best yogis - but that is not the case. I've always maintained that yoga is a harmonious convergence of pose, breath and mindfulness. Why can't I do all that while attempting to do the Human Flag? That fits into an Asana in my world view. 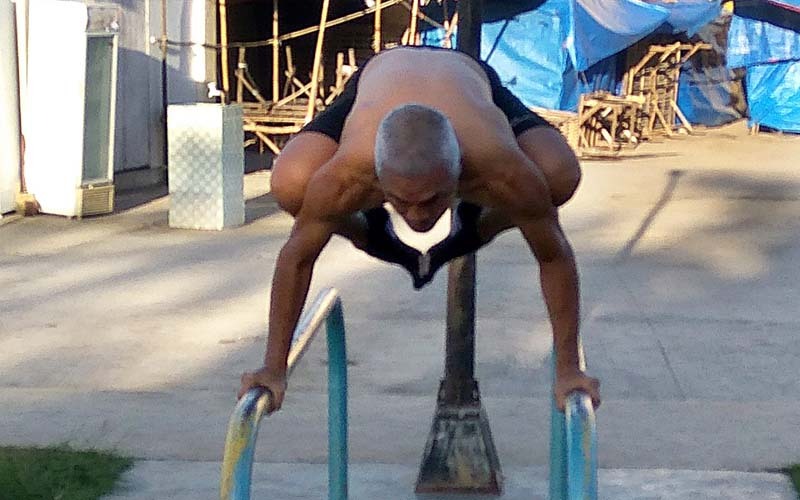 What makes a pose eligible to be an Asana anyway but symmetry, therapeutic factor and being able to hold it into a steady state. And what about Dips where it's a continuous movement? No problem. That is what Kriyas are all about - all within the scope of yoga dynamics. 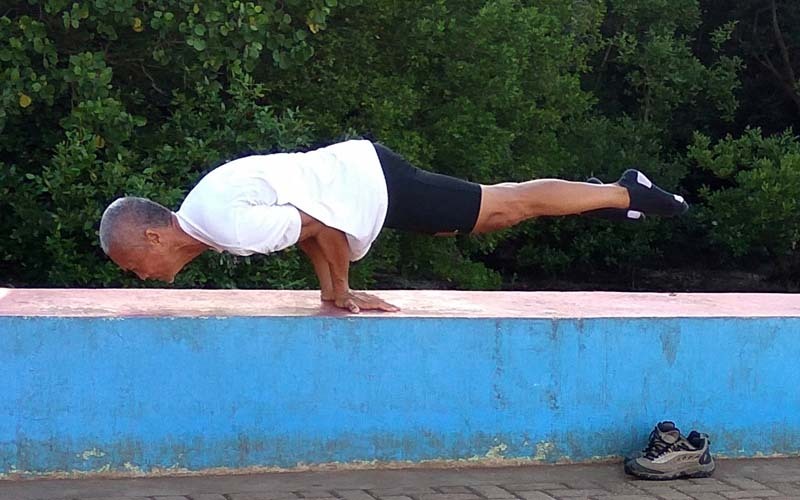 For as long as I'm compliant to the breath and mindful about what I'm doing, then it doesn't matter if I'm doing a yogic Mayurasana or a Planche. I'll call it Yoga Calisthenics. And where does this put rope-skipping? It's neither yoga nor calisthenics. My say? I don't care if doesn't fit either mold! Rope skipping is my cardio and therefore indispensable. 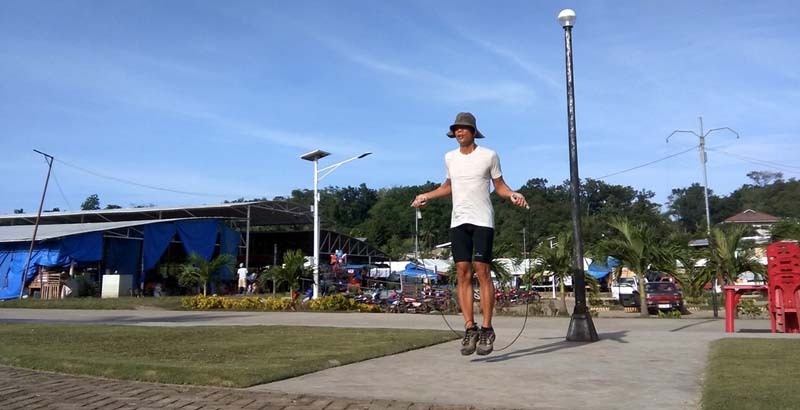 As I incorporate rope skipping into my routine, I found out I can do Bastrika/Kapalabhati breathing as I skip to listen through my cardio playlist. It's very challenging. Even if I am able to sustain it, at the back of my head, I remember what Simon Borg Olivier said about doing too many things at the same time - I might fry my nervous system. But I'm always mindful of how my body is reacting to it. So far, no complaints. After the physical workout, I settle down in a comfortable seated pose and do my Pranayama (breath control exercise). Kapalabhati, followed by Anumoma Viloma and capped by combining the first 2 - while squeezing Kumbhaka (breath holds) and Uddiyana Bandha (sucking-in the abdominal muscles) during the breath pause. I cannot underscore the power of Pranayama having toyed with it and experienced a Superman-effect a few years back. I am a Vipassana meditator, but I can't seem to fit Vipassana as my post-workout meditation. I default to a mudra meditation - chanting OM while doing a few hand mudras. The 2nd section of my meditation is to visualize on a specific body part that needs healing and chant OM while doing Ujjiyay breath. This is where I let my body do the healing instead of being reliant on medication. Individually, what I'm doing is sound - the breath, the physical workout and the mindfulness. But combined, with pranayama, breath-holds and bandha, I am already winging it into unchartered territory. I wish there is an existing ancient Indian treatise that would validate this experimental thing I'm doing. But in the absence of such, I'll write my own book, guided only by what I find exciting, my instinct and my body-talk. Two weeks into this program, I get only positive feedback from my body - my muscles are beginning to bulk-up and cover more distance into my bicycling without feeling fatigued. This is all trippy for me and I'm enjoying every minute of it. (Mar 8, 2017) Lage! Inspiration jud kaayo!